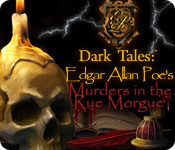 Rated 5 out of 5 by pennmom36 from Dark Tales: Edgar Allan Poe's Murders in the Rue Morgue CE I have fallen in love with Dark Tales all over again, I decided to re-play the Dark Tales series one by one and was really surprised that even the first few games, though basic, have stood up to the test of time. My favorite so far is the Black cat, and Murders in the Rue Morgue is really an entertaining game. Because this is an older game, the adventure part revolves mostly around the Hidden Object Scenes, there is at least one HOS in every scene and some have two different scenes! 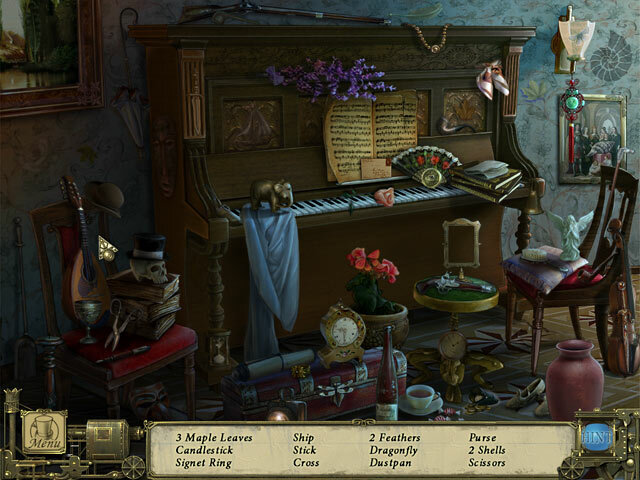 One feature that is missing in this game as well as some of the other older Dark Tales games is a hint button, there is a hint button in the hidden object scenes but none in the adventure part of the game. You should probably consider this Collectors Edition over the Standard edition because of the available Strategy Guide, which is accessed through the menu button, my how games have changed! The Collectors Edition has Concept art, wallpapers, artwork, soundtracks, a Bonus chapter, a sneak peak at the next game in the series, and the original Edgar Allan Poe novella, enjoy! Rated 5 out of 5 by jocasta1 from Great game with excellent extras! I'm late to this game, but having played another one in this series I decided to give it a try. I really enjoyed both the story and gameplay, and the graphics and atmosphere suited the story perfectly. I particularly liked the way the extra content was set up, as you have to finish the bonus chapter before you can access the other extras, including a copy of the original Poe story you can download to your pc! Rated 5 out of 5 by CarrieChien from It's funny game! It's funny game,I like playing it,so funny! Rated 5 out of 5 by yankeesonlygirl from Good game Even though I read this story by Poe, it did not ruin the game for me. It followed the story by Poe pretty well. All the walking back and forth got a bit tedious at times, but overall it is a recommendable game. I thought the graphics were well done. The puzzles and hidden objects are easy to medium hard for expert players. The sound and the music was not annoying as so many other games are. 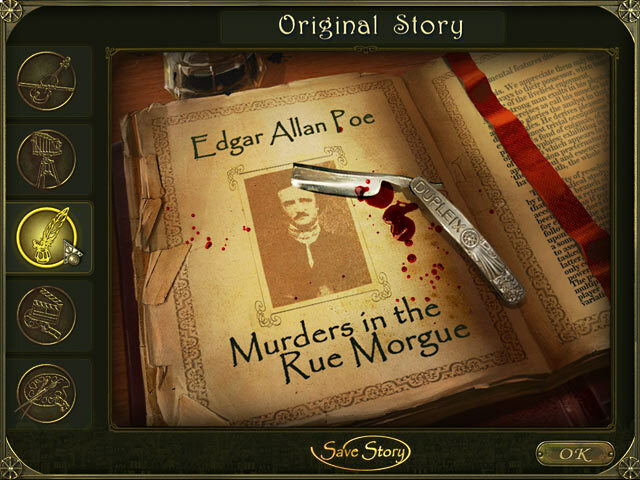 If you are a Poe and mystery fan, I would play this game on a rainy day. It would set the mood well. I only hope that there are many other Poe stories done in the future. I really hope someday they base one on Masque of the Red Death. Rated 5 out of 5 by neilskinut from Good game Better than the black cat. A good fun game to play. Not difficult at all. 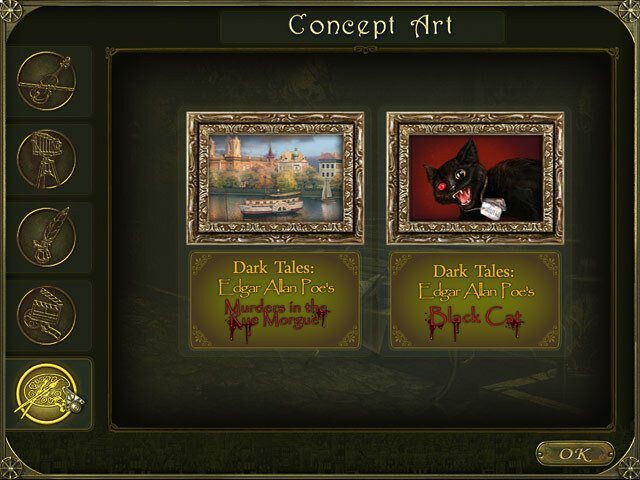 Rated 5 out of 5 by Rebr2009 from EAP is the best of the serial games I already wrote in another, but I say one more time: differently from other games in series, "Dark Tales: Edgar Allan Poe's," maintains the same high quality in graphics, sound, challenge, atmosphere, characters and environment. It also offers a lot of great mini-games included in a excellent story! I played and purchased 3 "Dark Tales EAP" and loved it all. I have so much fun with the ironic and charming remarks that appear in certain moments! Rated 5 out of 5 by mspaws from Excellent game! My review is a ditto of the previous. Just love the whole story line, graphics, music, hogs! Must have for the collection! Rated 5 out of 5 by FORTUNATUS from Quality gameplay w/o being over the top dark Everything about this game from design through music, sound sfx, graphics, superb artwork is top notch. Would love to see more of these quality games from BFG ... much better than some of the substandard over the top occultish trash we've been bombarded with of late. LOVED IT>!!! Rated 4 out of 5 by rjester from Great episode! You gotta play all of them! They're THAT good. But this one is one of the best! Job well done, developers! Rated 4 out of 5 by janniemst from Fun...but lacked some things I began liking this game very much. It needed a map and a directional hint at times would have been nice. I enjoy HO games so I was pleased with the amount of them in this game. I did, however have to skip some mini games, which I don't like to do. Directions were poor. But, at least this game allowed you to skip the mini games. I would not advise spending the extra for the CE here, because it was the shortest I have ever played! And the extra story was not needed at all. I prefer the characters to speak and in this game, they don't...You have to read everything which is said. I also noticed an annoying click whenever I moved the mouse at all anything.....so, I had to turn the sound WAY down...which I don't like to do..and there also was another annoying sound of "music" which played with every click......I like to hear the sounds going on in games...except for an ANNOYING click:) BUT with all of that said...I did have fun!